Transform your iPhone case into a gameboy with 10 classic games! Do you remember all the days you spent playing gameboy as a kid? Come relive your amazing childhood memories with the help of the Wanle Gamers Console For iPhone. 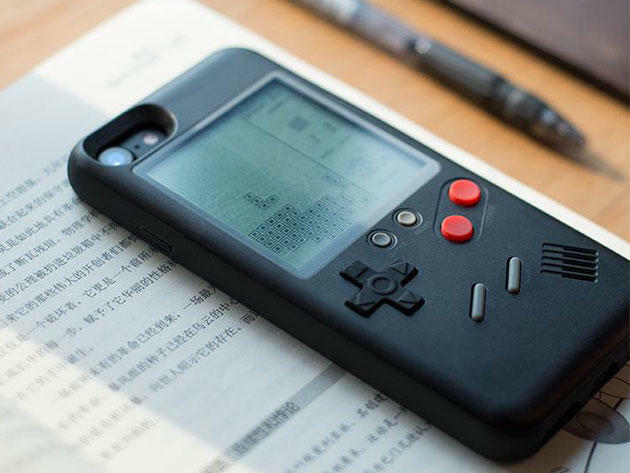 This is an Apple iPhone case that also functions as a game console with 10 classic games preinstalled. For a limited time, you can get your very own for 57% off! Installed with classic games like Tetris and Snake, the Wanle Gamers Console For iPhone is quickly becoming a favorite among customers. There's no better way to get nostalgic for the good old days than by playing the classic video games. Aside from the games, the Wanle Gamers Console For iPhone is extremely durable. It has a hard plastic construction to prevent scratching and bruising of your smartphone. Full port access will allow you to charge your iPhone with ease. Get the Wanle Gamers Console For iPhone today for just $33.99. That's 57% off the original price.